Kathmandu (Pahichan) June 30 – Chairman of Public Service Commission (PSC) Umesh Prasad Mainali has said there is no reservation seats for sexual and gender minority in the government services. He said members of this community have only option of open competition. Speaking to Pahichan Radio Program, Mainali said reservation process will begin only after the constitutional provisions are translated into legal framework. “We need to amend the public service act to give reservation to gender and sexual minority,” Mainali said. He said Commission would effectively implement the law if government amends it paving way for LGBTI. He said reservation is not for always and it is being misused. “The provision of reservation should not be applicable in section officer, joint secretary and other posts,” said Mainali. “People who fight in reservation at a time should make his qualification to fight in open category,” he said. He said in context of Nepal, the provision of reservation is failing to give desired result. 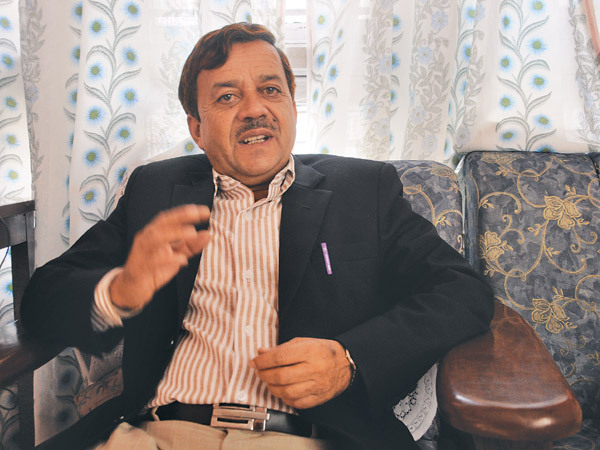 Mainali said reservation is a first step of managing diversity in the society. He said reservation and positive discrimination will not give the long-term solution. He said management of diversity could be an alternative and permanent solution. “Positive discrimination and reservation is a first step of diversity management it is not a ceiling,” said Mainali. The management of diversity could manage sexual orientation, age, individual and other things,” he said adding that management could be different in different demography. He said there are problems in civil service in everywhere and it could be settled through management of diversity. “We have a lot of weaknesses, diversity could address them, and they could be settled through collective efforts.